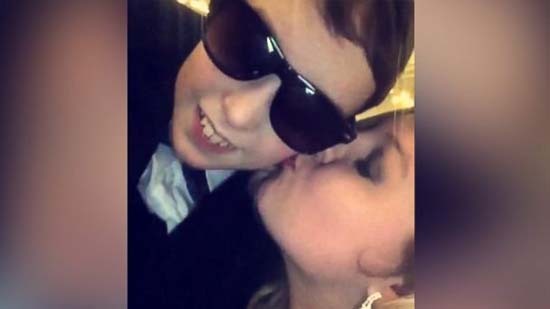 An Iowa teen is being praised for skipping her own prom last weekend to attend a school dance for a boy she barely even knew. The story between 14-year-old Andrew Shumway and 19-year-old Brittney Klocke begins in the most unlikely of places - an airport. Brittany, a senior at Kuemper Catholic High School, told ABC News it was the second week of February when she went with her friend's family on a trip to Disney World. On the way home, she met Andrew, who has cerebral palsy, and his family at the airport. "I started talking to him and he started telling all these jokes," said Brittany. "I met his mom and dad. I talked to Andrew pretty much all day long and fell 'in love.'" They were both stranded at Orlando International Airport for 14 hours when their flight was canceled. 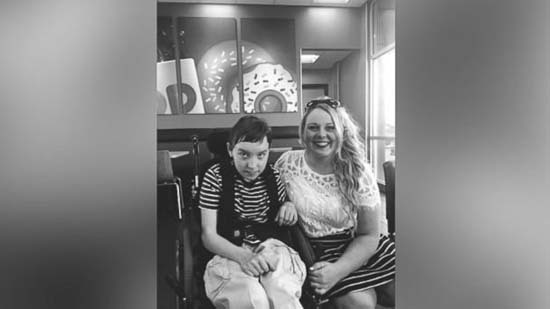 "My little brother Cayden, he has autism, so special needs came up and living with someone that needs a little more attention," Brittany said. 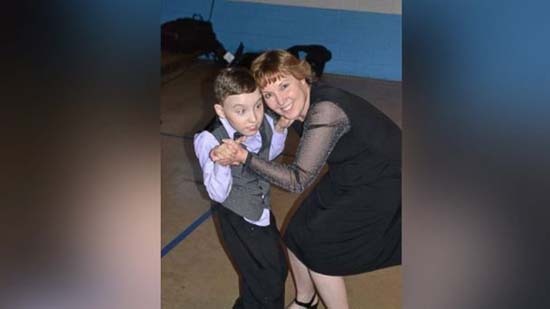 "His mom brought it up that the special needs dance was in their community and Andrew asked, 'Will you go with me?'" It just so happens that Klocke's senior prom was the same night. 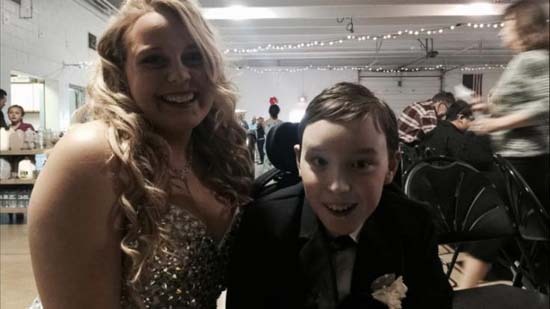 Despite her prom being the same night, she traveled five hours from home in Carroll, Iowa, to Tomah, Wisconsin in order to attend Andrew's dance. 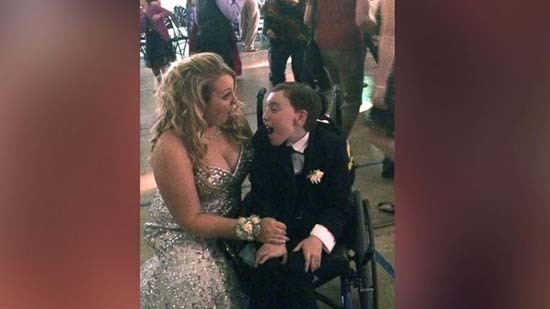 Lauri Shumway, Andrew's mom, told ABC News she had no idea that Brittany was missing her senior prom to be her son's date. "My heart was so overwhelmed and touched," Lauri said. "Andrew was so happy. He is a people-person. He loves to introduce people, so he was very excited to introduce her to the special needs staff, the classmates. He'd say, 'This is Brittany from the airport.'" Lauri added: "My son will never forget this." Klocke currently works in a hospital and plans to continue her education in nursing school this next year. She wants to stay in touch Andrew and his family, and hopes to come visit him this summer.